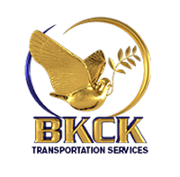 BKCK Transportation Services has an extensive fleet of vehicles to suit all of your personal and corporate transportation needs. We serve clients in Jacksonville, Florida, and throughout the region, no matter what type of car they want or where they need to go. Make a reservation with us today and we'll make sure that you're completely taken care of, whether you're looking for corporate transportation or just looking to do some sightseeing in the area.